Speaking at on the LGBTQ Inclusion in Sports Panel at the Atlanta Women in Sports Conference last week. Amazin LêThị talked about her experiences, advocacy work and plans for 2019. Amazin LêThị, a Vietnamese Bodybuilder has been involved in sports since she was a kid. However, in her experiences as a youth playing various different sports including track and soccer; she experienced a lot of racism and sexism in growing up. Having once been told by a coach that “Asians have short legs and thus are not fast runners.” She shared the story about how she was not wanted to be part of the team and should consider choosing long distance running instead because “Asian people are slow.” Reflecting on this story, such stereotypes against people of Asian and Pacific Island descent continue to persist. Specifically, citing her experience in the UK with a census form where anybody of Asian and Pacific Island descent is categorized as “Chinese, British Chinese, or Other,” which is very dehumanizing to stereotype one of the largest and most diverse continents into a single nationality or erasing them altogether. While Asian and Pacific Island descent is more appropriate, the use of more offensive and racist terms such as “Oriental” and “Yellow” as an offshoot of “People of Color” are considered highly offensive and inappropriate to Asian and Pacific Islander communities. Yet, these racial stereotypes continue to persist. As a result, there is still a low representation of Asian athletes in sports, with often times the athlete being the only one on the field; such as Jeremy Lin with the NBA. The kind of negative and toxic culture can have a damaging effect on an athlete’s self-efficacy which can inhibit their performance capabilities and only serves to reinforce the negative stereotypes. LêThị shared that her motivations for pursuing sports, even as a kid, was that she wanted to “make an impact.” In which she continued to move forward despite the nasty and racists comments from her coach and others. In addition to the racism that Asian and Pacific Islander athletes face, female athletes must also contend with sexism that can sometimes border on the line of sexual assault. As a former professional bodybuilder, LêThị has also experienced this first hand. In the 1980s, male and female bodybuilding was becoming popular as a sport, in which both pursuits were very similar in the competition of developing a muscular physique to compete. When Bob Paris came out as the first openly gay professional bodybuilder, the Bodybuilding community was not very receptive. As a result, there was a shift into the sport where men’s body building became hyper masculinized and female bodybuilding became less about muscles and more about the physique of ideal femininity. This shift in the sport, which LêThị says includes having breast implants, high heels, pageant poses and bikinis; became nothing more than a sexualized “fantasy for men.” It was clear to LêThị that the sport was certainly not receptive to anybody who identified as LGBT and that the foundations of “bodybuilding” no longer existed for women. The shift in this culture of toxic masculinity continues to persist in gyms where the weight rooms tend to be used by men and cardio equipment by women. LêThị shared her experience as a woman training in the weight room and having to contend with sexually lewd stares and comments from men that could be considered as verbal sexual assault. While it might not be so outspoken now, it is still a challenge for women to feel comfortable training in a weight room. Especially with mirrors where they are often gawked and stared at. Having to deal with the racism and sexism as a woman of Asian and Pacific Islander descent in sports. Amazin LêThị certainly did not feel that sports would be a receptive environment to her as an openly rainbow athlete either. Thus, Amazin did not officially come “out” until after she retired from Bodybuilding, which is still a common practice as many LGBT athletes choose to wait until retirement to come out to lessen the risk of it negatively impacting their careers. Fortunately, LêThị never lost sight of her goals which is to “have an impact.” Since her retirement from bodybuilding, LêThị launched her career of advocacy for LGBT people of Asian and Pacific Islander descent to break down barriers, bust stereotypes and use her unique platform to create a voice and empower the next generation of Asian and Pacific Islander descent as well as LGBTI athletes. She was the first Asian athlete to successfully transition to a professional career in entertainment. By creating discussion, LêThị has been helping to decolonize the stereotypes that LGBT, Women, and people of Asian and Pacific Island heritage continue to face. 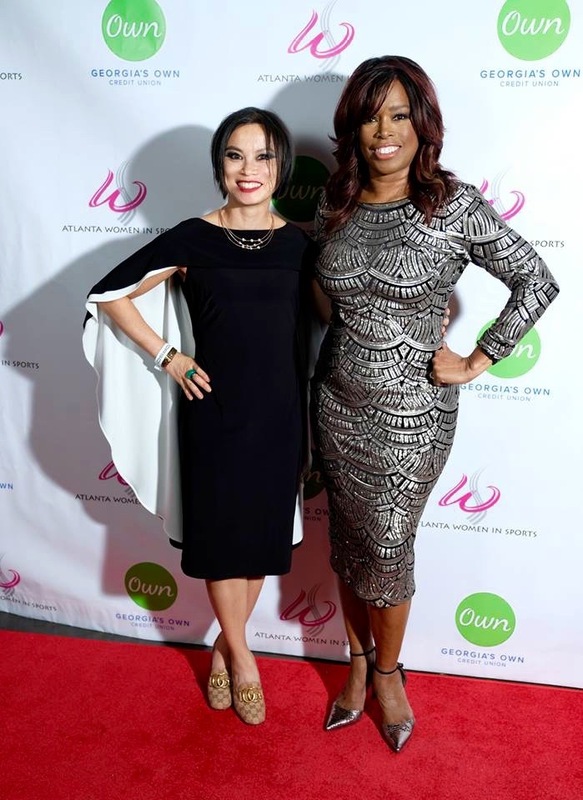 So far LêThị has helped launched the first Asian focused anti-bullying campaign, serves as Athlete Ally’s first female Asian ambassador, During the Obama Administration, advised the White House Initiative Asian American Pacific Islander on LGBTQ Asian issues. Has been recognized by GLAAD and the National Queer Asian Pacific Islander Alliance, and has launched her own foundation. She has also partnered with It Gets Better and released her first official video with the organization. However, her work hasn’t been easy. Breaking down the colonial influence in sports, and especially in the media has shown to be quite a mountain to climb. Sports is still dominated by old, white, men and it shows. With minorities constantly having to “tip toe” around the issues that affect them most. LêThị often talks about the backlash against Colin Kaepernick for protesting systematic police brutality of black people by kneeling during the national anthem. LêThị emphasizes that anybody who speaks out against the “white fragility” is often punished, but yet there are no consequences for the kind of racial and/or sexist insults directed at minority populations. Such as the infamous, racial caricature of Serena Williams published by The Herald Sun in September 2018. Sports are still dominated by white, colonial culture, that makes it more difficult to be part of a racial minority, LGBT or a woman and be still be represented fairly and equally in sports. At the Atlanta Women in Sports Conference, which took place just a few days before Super Bowl 53. Amazin LêThị announced her return to competitive sports. But this time, she will be competing in the sport of Competitive Shooting. A sport in which LêThị recognizes as one that is overwhelming white, straight and male, but she has no hesitation to represent as an openly rainbow, Asian woman. LêThị notes that the sport itself offers a new challenge for her as an athlete to develop a new skill set and platform for discussion. Through the sport of Competitive Shooting, LêThị is planning to represent the “cross sectionality” of sports and sport disciplines. Taking action to encourage more girls and women to break the feminine standards and take up sports that would be traditionally considered as masculine. LêThị feels that sports are very important for girls and women to participate in, as the skills, discipline, motivation and training that athletes gain from participating in sports can carry over to other aspects of life. Specifically, citing career development. LêThị noted that many companies will often seek out women with an athletic background for managerial and executive career tracks. 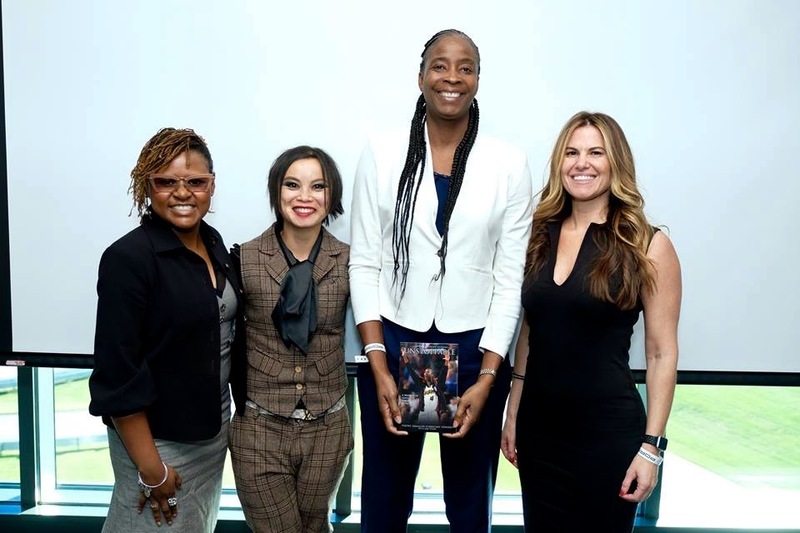 It’s more than just “playing a game” as sports can serve as the vehicle for LGBT, women and Asian and Pacific Islander people to move forward, which is what Amazin LêThị believes in.